Revive the look of your décor by placing this Erased pattern rustfully handknotted area rug which is woven in handspun wool and bamboo silk. It is a highly durable and 100% hand washable rug. Rustfully Modern Handknotted carpet is woven in India by our skilled weavers. 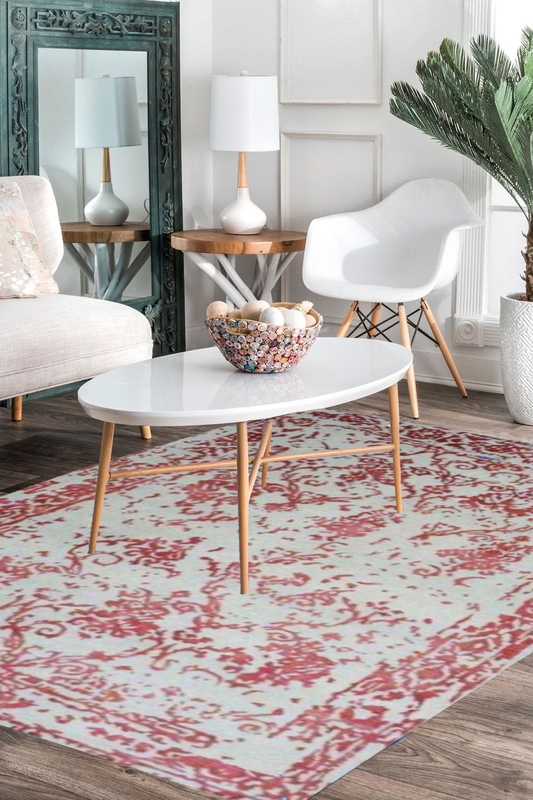 Rustfully handmade rug is woven with an engaging erased pattern in rust over a Paris White background, this area rug is a great way to update the decor of your home while also protecting your floors. The rug is made in handspun wool and bamboo silk material for lasting beauty and charm. With regular vacuuming and proper care, you can maintain the beauty of this carpet for a long time. To prevent dust and crumbs from settling into your rug, vacuum regularly and/or shake.